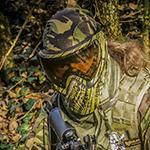 There are 37 posts in this thread, and it has been viewed 29037 times. Please Note: This was a previous Game of the Week thread! Ports have also been released on home consoles including the PSOne and PS2. 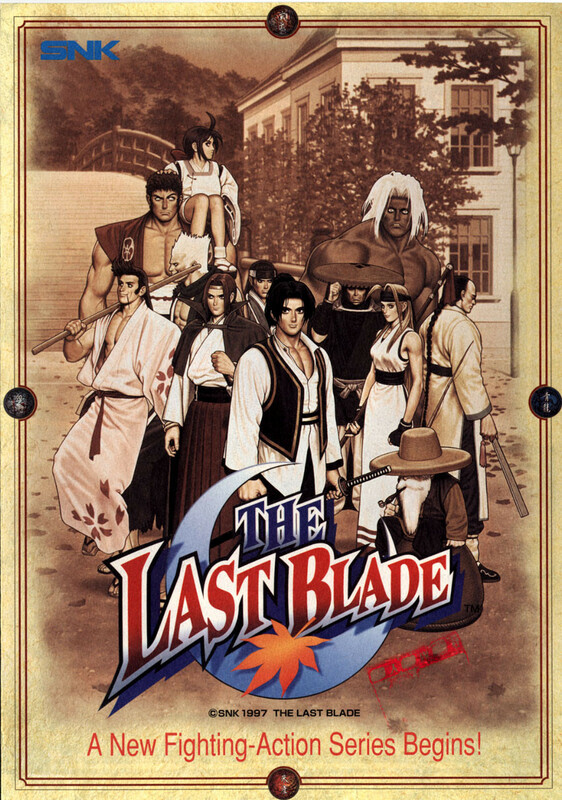 The Last Blade (or Gekka no Kenshi in Japanese) is a weapons based fighter, revered as one of the best 2D fighters on the Neo Geo, or indeed any system. It was also the first game that Daisuke Ishiwatari (of Guilty Gear fame) worked on! It is set in the mid 1800's, during the late Tokugawa shogunate era in Japan. Anime fans will certainly notice a lot of similarities between this and Rurouni Kenshin. All I will say for now is... Jet Li rules... therefore Lee Rekka (or should I say Wong Fei Hung) rules! Still one of my all time fave characters! A true piece of gaming art...can't say it enough. Superb graphics, gameplay and art direction...the cut scenes are awesome and the intro is one of the best on the Neo Geo. The sounds are also awesome, only the music is a bit weak, but it works very well for this game...best fights are the ones lacking any music with only background noises. Just watched the PSOne intro and I think it's boring...I don't like it when they port games to a console and change the original intro into some anime styled intro...most of the times the dynamics of the original intro are lost and the new anime intro feels kinda empty and boring, it's the same with the console intros to Arcana Heart and The Rumble Fish, looks nice but the original intro is way better and more "spectacular", the way an arcade atract mode/ demo mode should be...they're designed to get (or trick) people to insert coins and play the game. Awesome! I was just playing Last Blade 2 a few minutes ago. I'm not sure which one I like better, but luckily I don't have to choose. They're both incredible games. 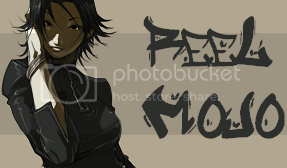 My favorite character is definitely Mukuro, if only for his after fight quotes. "Kid's blood is really delicious," made me laugh so hard the first time. ...I'm not too sure what that says about me. lol... some of the win quotes are really hilarious! Especially Lee's quote when he says "bubblebutt". When you read the proper translation they really did mess them up bad! I agree about it being a work of art chtulhu and I know exactly what you mean about the intro. I do actually like the anime intro but it does feel very tacked on and doesn't have the same impact of the original... it's too long for a start! Sometimes they just don't need to mess with something that is perfect anyway. I know we're talking about The Last Blade 1, but LB2 has what I would consider to be one of the finest intro scenes ever. I mainly posted the intro for those that haven't seen it yet. Very nice, cthulhu basically summed up my thoughts...but I will reiterate that this game is simply a work of art. Great choice for GOTW, nuff' said. Work of art... I have nothing to add that hasn't already been said. This is just such a beautiful game and I'm happy to have been able to experience it. All you guys pretty much summed it up already. 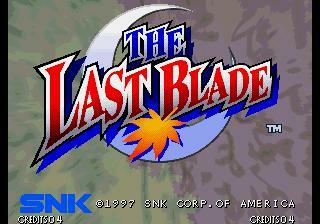 Is there a Neo Geo player who doesn't like Last Blade? I really think the Last Blade games are beautiful too. Maybe the most beautiful 2D games ever. I too really like the way they don't have music in parts and you can hear the wind blowing through the grasses - it would be nice and relaxing - if some guy with a huge sword wasn't trying to make me bleed. I haven't spent as much time as I want to on these games, so I don't really know many of the intricacies - but I like what I see so far - very much! I played this game first on an emulator i really surprised how it is good and i never heard about this game before. My local arcade never had this game Later i found Last Blade at a arcade from another city of Turkey but nobody were playing it. What a shame. SNKP should give us a new Last Blade game with KOF XII graphics. At least good console ports of 1 & 2. There used to be review of Last Blade Collection on Ps2 i can't find it now on reviews section. SNKP should give us a new Last Blade game with KOF XII graphics. Oh no, I would really hate to see SNKP botch up this game (like they do with most other things.) But I agree, good console ports would be nice. Well, this was the first time I've ever seen this intro. It's pretty nice, but it's indeed too long and it's a bit static...not spectacular enough to really hold my attention. Also I agree with the intro from The Last Blade 2...together with the intros of The Last Blade, Garou Mark of the Wolves and Blazing Star, these are the most impressive intros on the AES, if not ever. I agree...they shouldn't do another Last Blade game as first two games might lose their charm, these games are very special and mustn't turn into something like the Samurai Spirits series (not that I don't like Samurai Spirits, but I think that after part 4 the series went downhill...I love Tenkaichi Kenkakuden though). There's not much I can add that hasn't already been said. Last Blade truly is a work of art. Graphics, music, gameplay are perfection. One feature I always love is those little intro sequences before each stage. They really add something to the overall atmosphere of the game. I'm really not keen on the idea of Playmore making a new Last Blade game. I know what you mean Merlin, they could completely screw it up. But then again, if KOF XII turns out as good as it looks then I truly have the confidence that they could pull it off. It depends on what staff from the original 2 games are still around though, or available to work on it again. If there aren't at least a good portion of those staff around then it would probably end up with a totally different look and feel, and in that case they'd be better off just working on a totally brand new weapons based fighter to blow us all away. If it has the LB name on it and it's not at least as good as LB2 then we'd all only be disappointed. First of all the history of this game is pretty interesting. Apparently Nobuhiro Watsuki, the author of Ruroni Kenshin, was so inspired by playing Samurai Spirits that he paid a ton of homeage to it in his Manga. SNK returned the favor by making Last Blade, a game which was in turn inspired by Ruroni Kenshin. Nobuhiro would later go on to design the new characters for Samurai Spirits/Shodown 5 and so the circle closed. 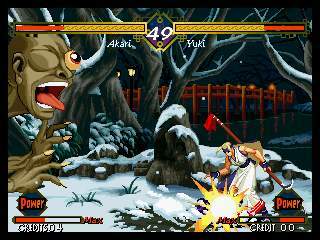 As for the game itself it's a very different kind of breed from Samurai Spirits. The game is a little bit faster, slightly more technical on the strategy side of things, it has a very stylistic design (more anime, less traditional art) and it has more focus on both realism and traditional fighting game mechanics. What they have in common though is impeccable gameplay and this is obviously Last Blade's strongest point of all. Two basic modes to choose from, both surprisingly well balanced, and a secret extreme mode for those who want to go wild at the cost of a serious health downgrade. The plot is surprisingly immersive with it's romantic and sad themes to the point that you can tell what the game is all about just by looking at it. The music isn't what you normally associate with fighting but in this particular game the BGM actually goes well with the serious tone of the game. Now if there's one complaint that I have about the game it's the characters. I really love Moriya (even with his suspicous Iori/Yamazaki crossover thing) and Akari (the star of the show in my eyes) but while there are some neat ideas in there (Kaede and his ability to transform is beyond cool) I feel that the majority of the cast is awfully bland. 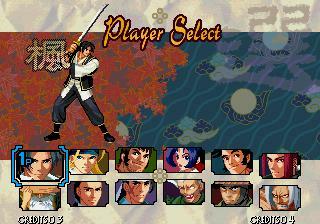 I know this might be, again, Samurai Spirits talking here with its wild and unique character designs (hell the series has more one-of-a-kind characters than any other) but it does bother me how many Last Blade fans that I came across over the years that can't even remember the names of this surprisingly forgettable cast. The flaming kicks monk, the ninja guy in hat, the big dude with the stone arm, person with the baseball bat thing and so on, this is what the cast is all too often reduced to. But even so, I have yet to meet a single person (fighting game fanatic or not) who sat down and played the game and could honestly say that it wasn't one of the best games they've ever tried in the genre. Even with a somewhat weak cast the gameplay does all the talking, it's a joy just to land parries and everything comes into play so naturally that I found myself stuck for hours when I got the PSX version of PSN even though I had only planned to see how well it played compared to the original. Hell, it even plays near perfectly on a pad if you're on one of the ports which is actually surprising considering how so many other SNK fighters (Fatal Fury series I am looking at you) will punish you for trying. Oh and before I wrap things up I must mention how I know fans tend to be divided over just which one is better; 1 or 2. Personally I am in favor of the former. Why? Well I think that the sequel got a little out of hand when it came to making everything more complex and flashy, the music really crossed the border where it goes from 'fitting the mood of the stage' to 'overly dramatic and unfit for a figting game' there, I didn't like how they messed with the custom combo system even if the new starter options (how you can start it off as a low move or an overhead) were a great idea and sadly I find the new characters the weakest of the bunch. That and while I don't particularly like either of the final bosses (Shinnosuke will always be the main bad guy to me) particularly disliked Kouryu's final fantasy esque supers that looked more like FMVs than fighting moves, and that got old real quick. Then again I realize that a lot of that sounds like Last Blade 2's major problem is that it isn't Last Blade 1. They obviously had to make some changes and additions and while making everyone more complex to master by giving them a ton of new moves and peculiar options could be considered a step in the right direction I feel it strayed a bit too far from the accessibility side of things that the original does so well. After that it seemed graphics was the next topic of focus, but that rarely matters in my opinion, especially if you can't get around the flat design anyway. 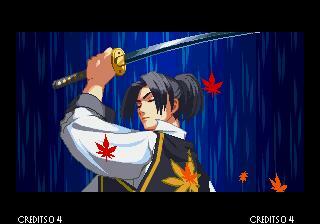 Well enough Last Blade 2 bashing (hey I am just saying I like the first one better) what's the score? It's an easy 9/10 is what it is. Last Blade gets as close to perfect as you can possibly get on the first try and stands out as an amazing testament to why people love the Neo Geo in the first place. Hell even the almost universally acclaimed Street Fighter 3, which in it's final iteration shares some of it's best parts with Last Blade, had to take three tries before it got to this level. There are many games you can consider when you just want to show off what the Neo Geo beast can really do (Real Bout 2, Matrimelee and Samurai Spirits 4 comes to mind) but when you want someone to actually sit down and play a game? It's either this or Metal Slug, everything else would be considered holding out. The Last Blade is art. Oh yeah, SNK obviously made the right choice to opt for Moriya and Akari to represent the series when they made Neo Geo Battle Coliseum. But you can't really compete with a necromancer lolicon whose got an army of ghouls at her disposal and the guy who thinks that sonic booms are entirely optional when moving at the speed of light. Great to see you back HexElf. I don't know what I can add to this at all, everything that could be said has been said. The game is as close to art as any 2D fighter is likely to get, imo. In every sense. Animation, ambient score, perfect sound effects, spot on mechanics, presentation to die for, I don't know how they could better it. SNK proved the game can't be bettered when they released the sequel which, although an amazing game, can't touch the original. The idea of making a fourth game must be pretty daunting to SNK, it would have to be nothing short of breathtaking. Probably why they haven't attempted it. But if KoF XII does the business, gameplay wise and sales wise, who knows what SNK might reinvent next... Even if they botched a new Last Blade they'd still get a big thumbs up from me for trying, and for a dedication to 2D shenanigans when even the mighty Capcom and Konami have long since jumped ship. Ah, yes, Last Blade. Such a superb game. 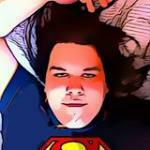 Everything has been said about the game now. Its a wonderful piece of work, a 2D masterpiece! To be honest, though, I like the sequel better. This game just seems a bit broken and missing something. That's not to say this game is bad, its the start of one of SNK's best NeoGeo series!